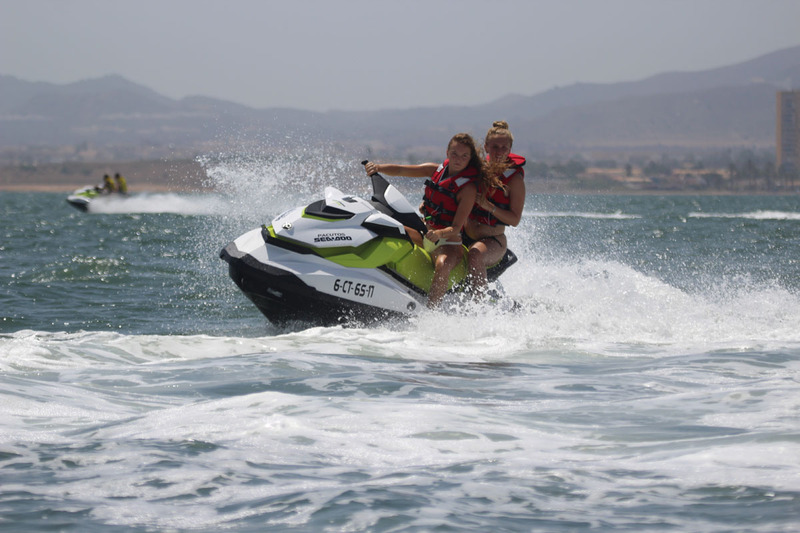 Have fun in a safe area to do what you want with your Jetski, maximum speed, turns, spins, jumps and more. 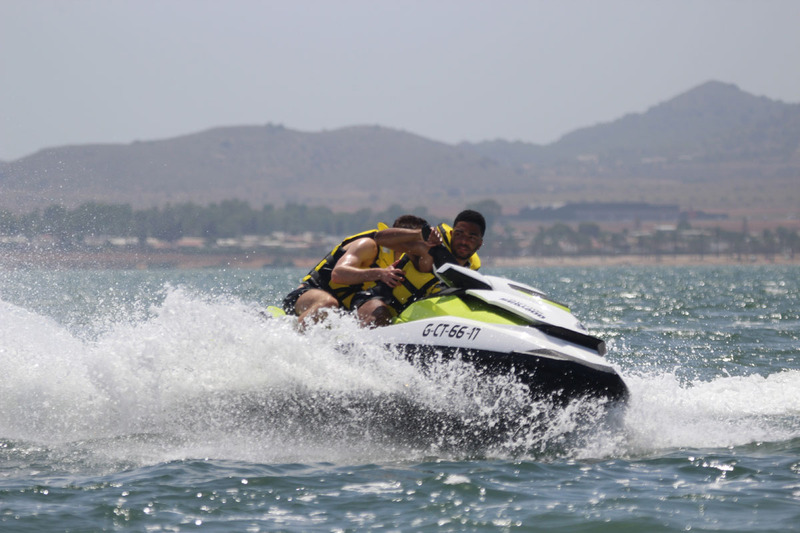 40km of fun packed adrenalin we reach the mediterranean after following the manga coastline to see some increible sights. 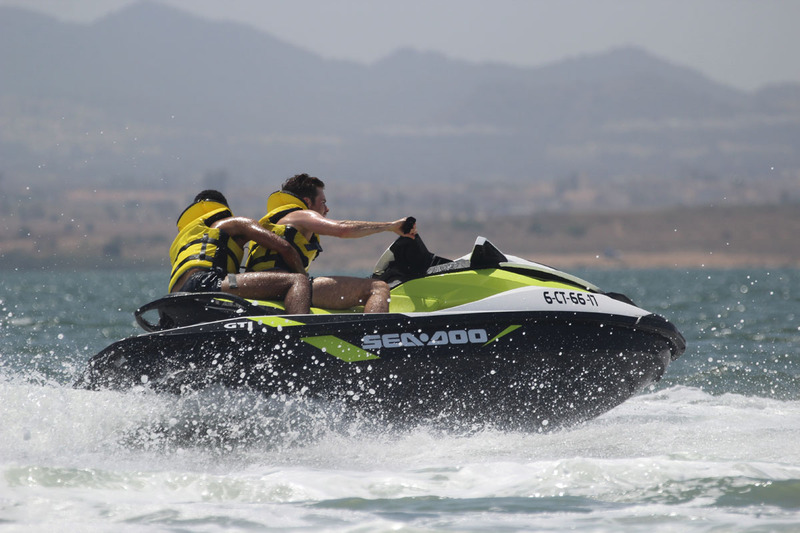 Our longest route leaves the Mar Menor and follows, the mediterranean coastline to Torrevieja. 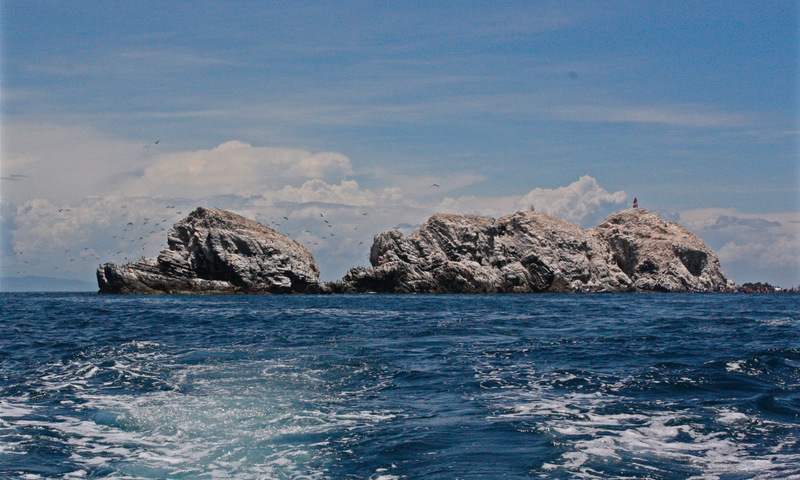 The return journey will be by open sea. 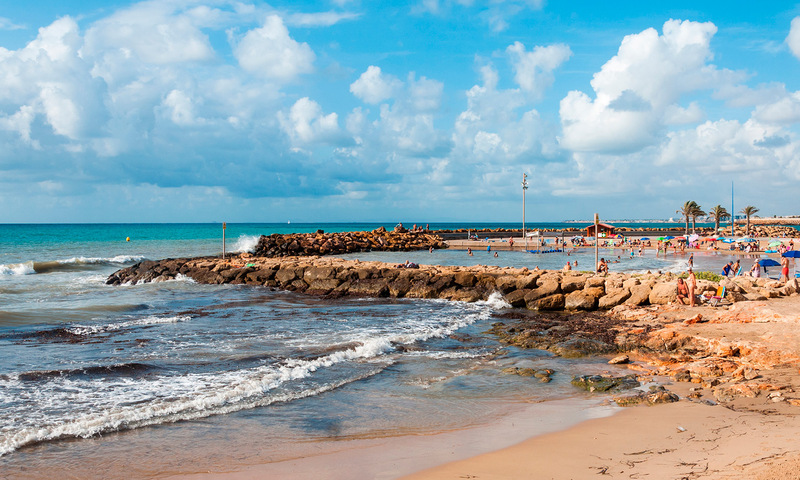 Enjoy the best beach in the region in a natural park. Where you will find fine sandsand a lovely area. 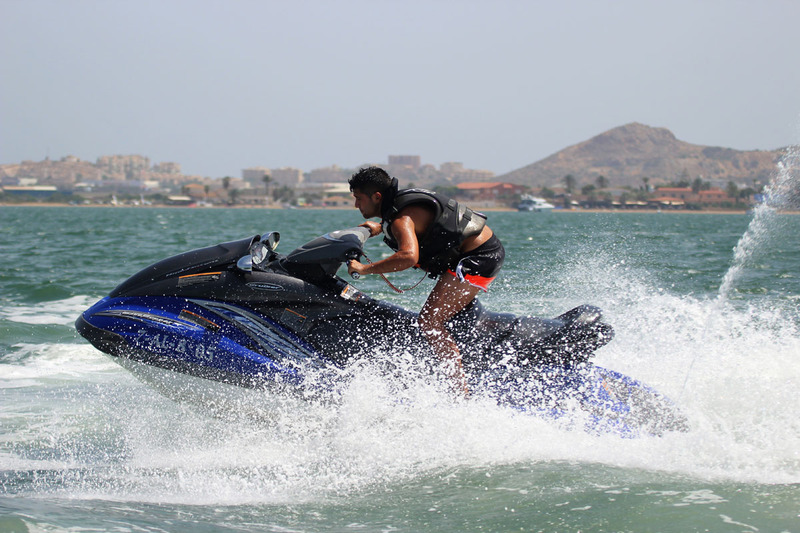 A key point of the region, the Mar Menor becomes for tourists and locals a perfect place to enjoy water sports. 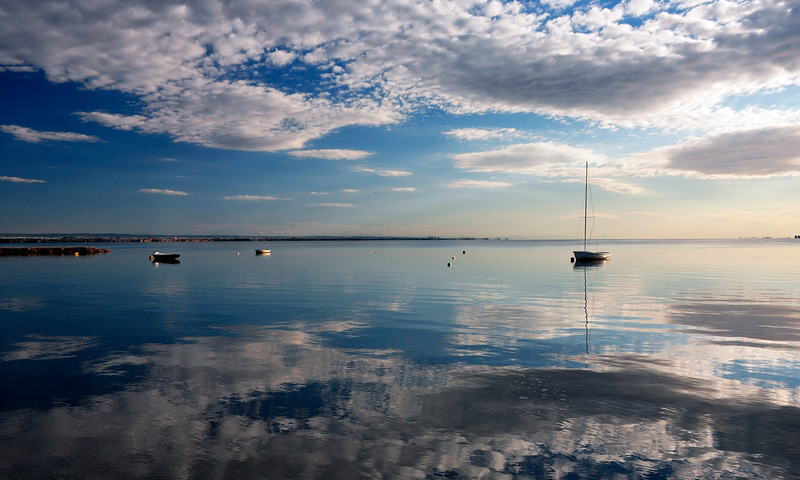 The lake-like sea offers us a multitude of proposals and activities. 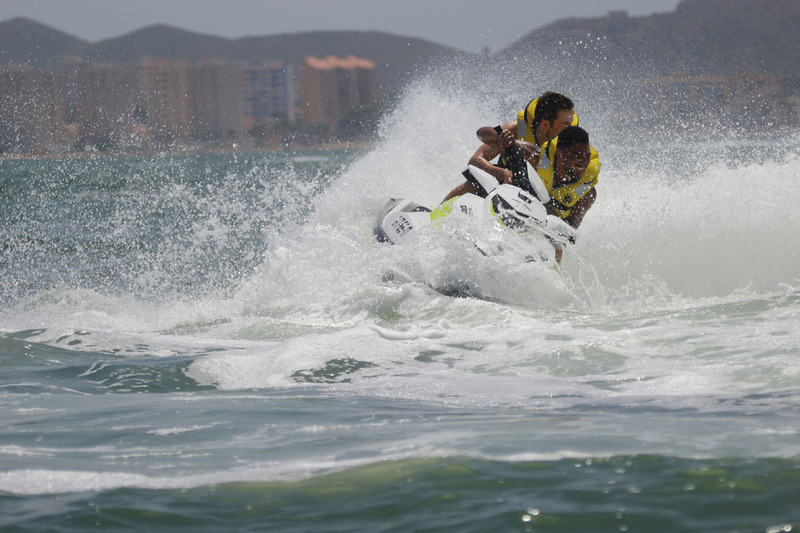 We have more than 15 years of experience dedicated to the rental of jet skis and taking care of our customers. 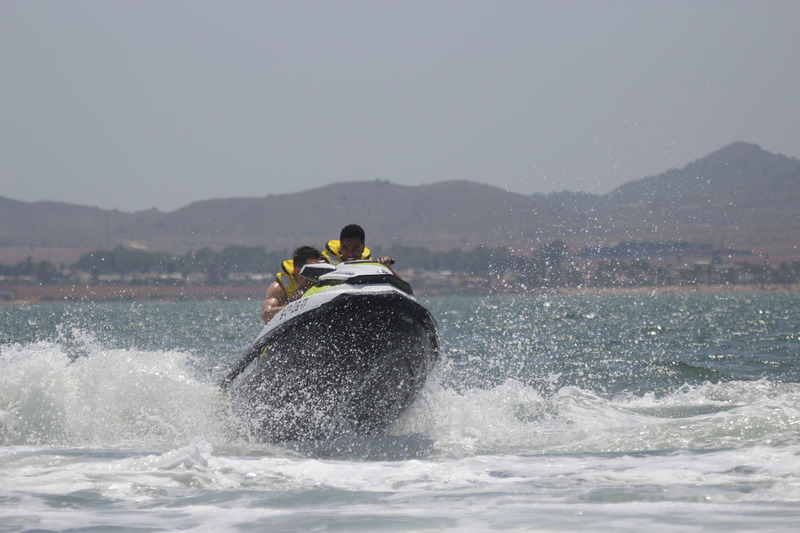 We are a family of watercraft monitors who are passionate about our work. 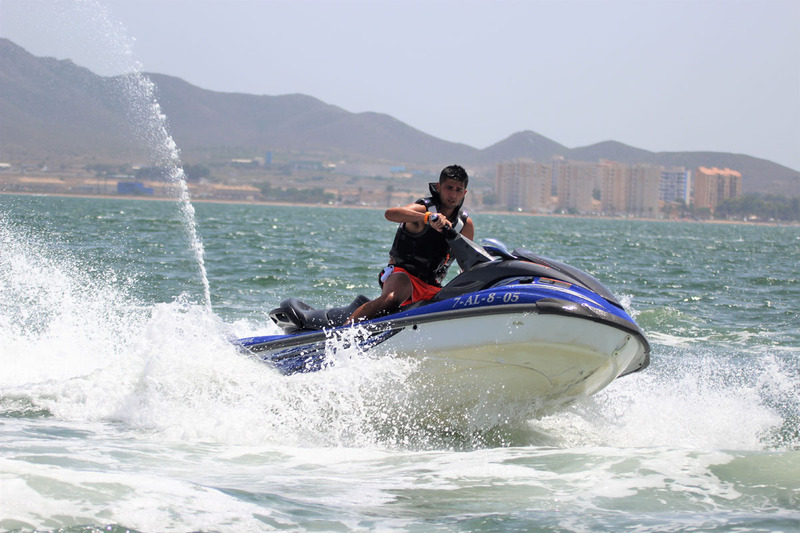 We enjoy with our clients all the activities, we teach to respect the aquatic environment while experiencing a dose of adrenaline and joy. 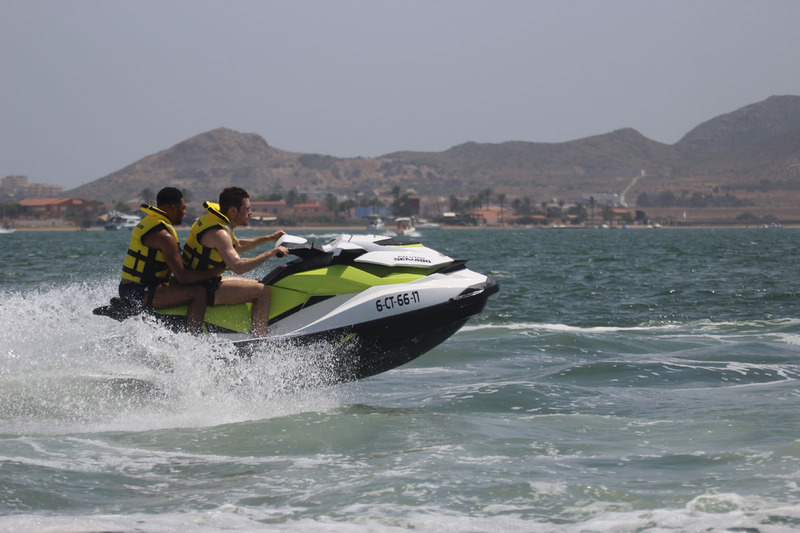 Our clients come first, that’s why we adapt to you, personalizing each experience. 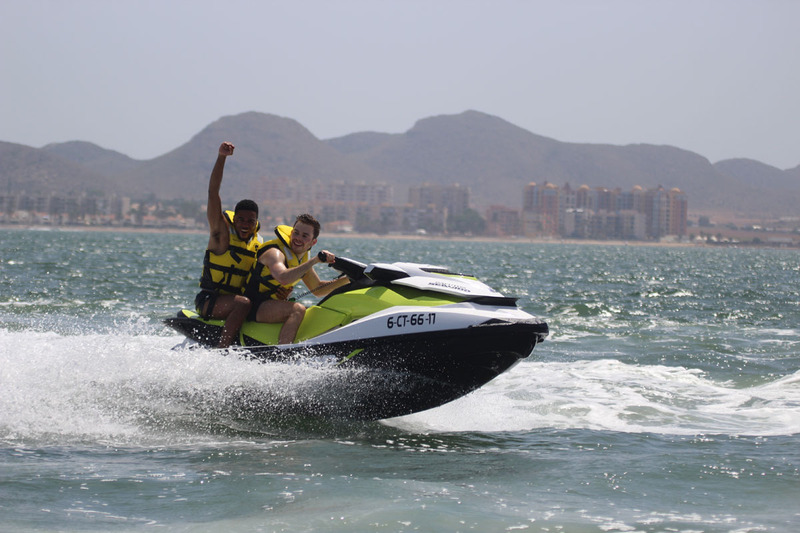 We offer different types of routes and activities, adapted to all types of clients and experiences. 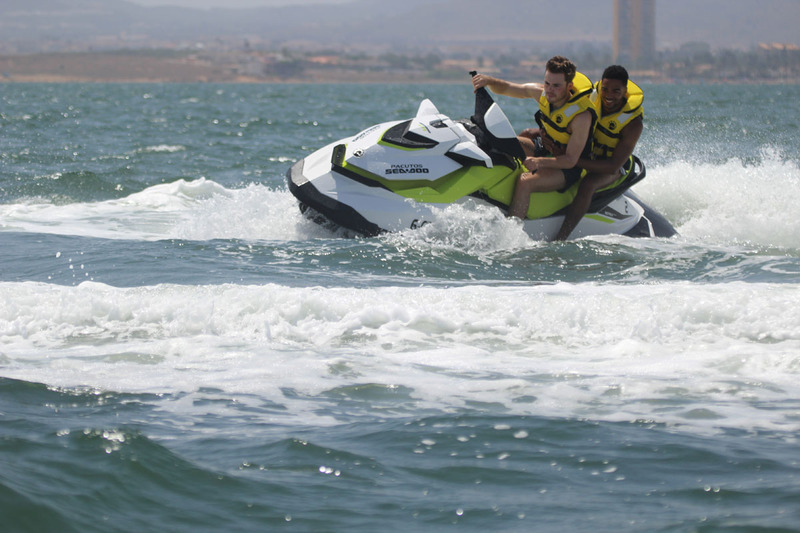 Our activities are perfectly coordinated to make the most of your time. 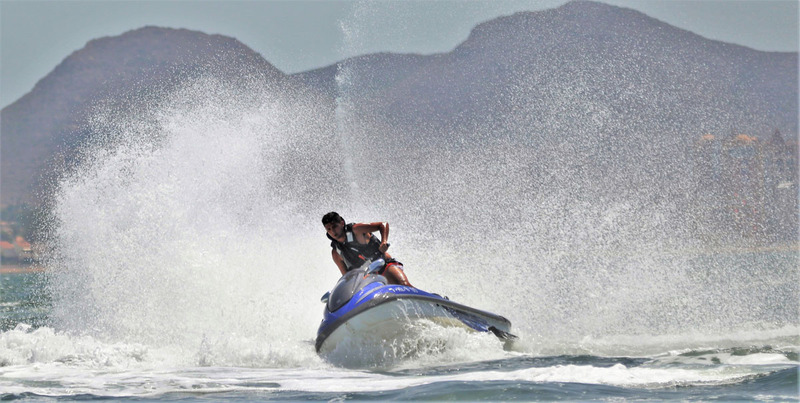 Enjoy with us an adrenaline packed activity and a different experiences. 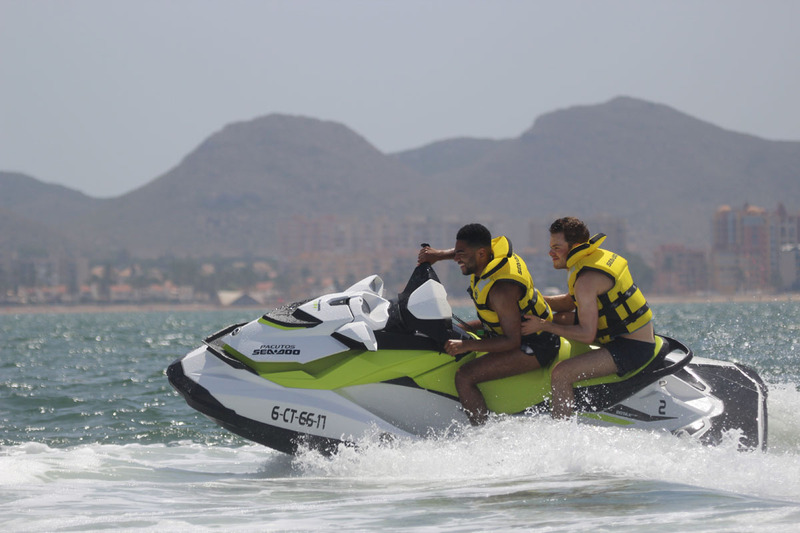 If you have any disability, there is no problem to carry out the activity, we will help you and we will adapt to you. 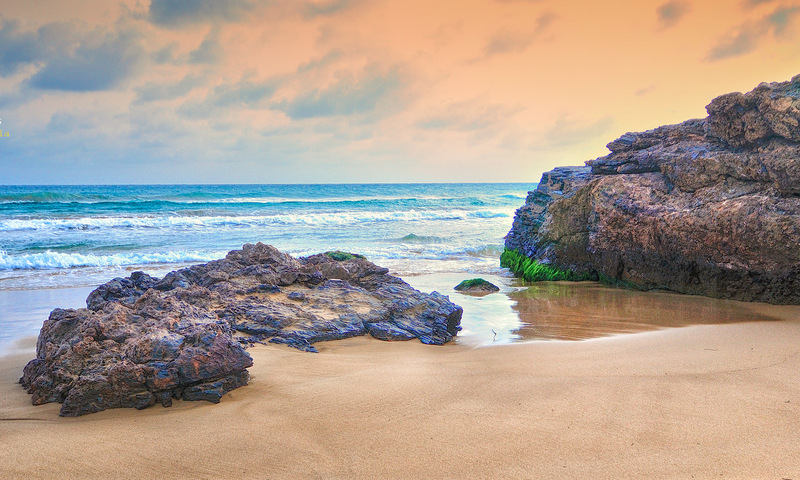 Our monitors know the area perfectly and can give you detailed information. 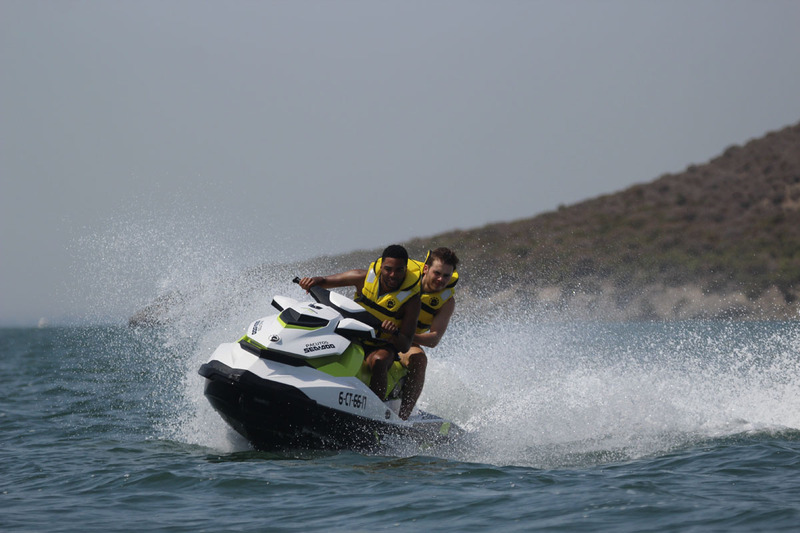 We offer you incredible offers that we know you will love. 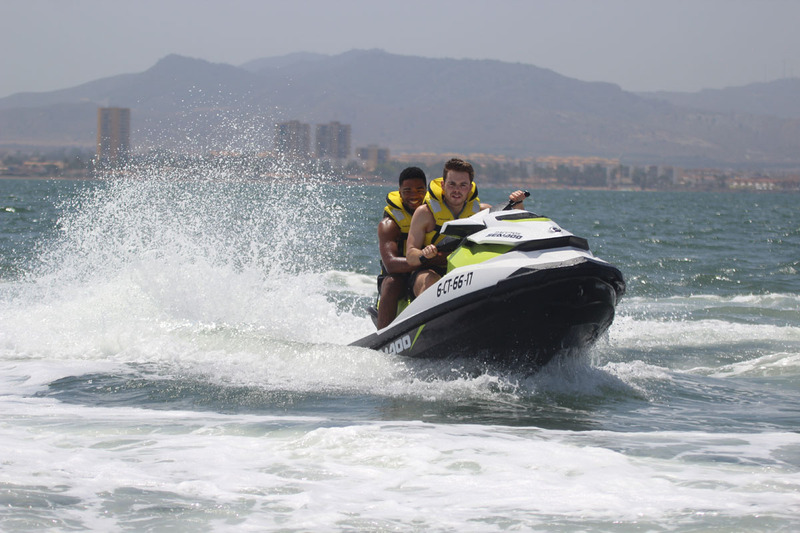 Bonds Jetski is adrenaline packed and full of fun. We put all our heart into what we do. 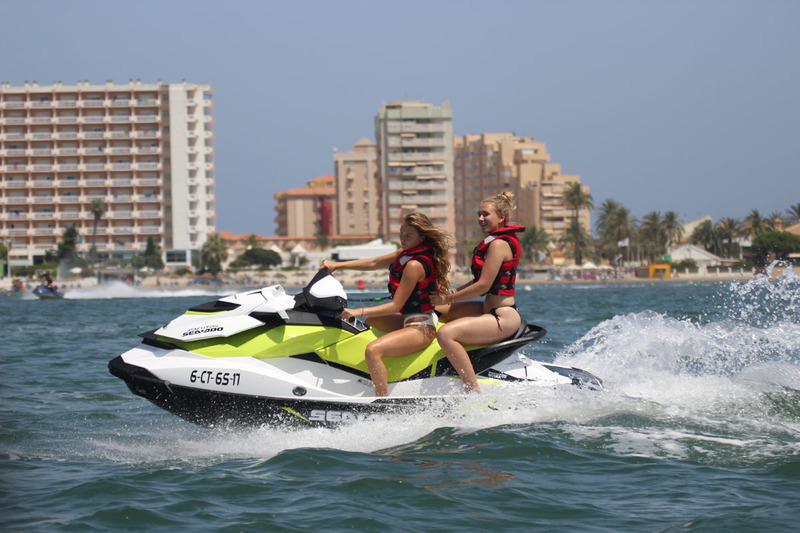 We are located at the beginning of La Manga del Mar Menor, located on the beach of La Gola, you can enjoy a full day of beach, sun, water activities with us, and a wide range of bars and restaurants to enjoy local food. 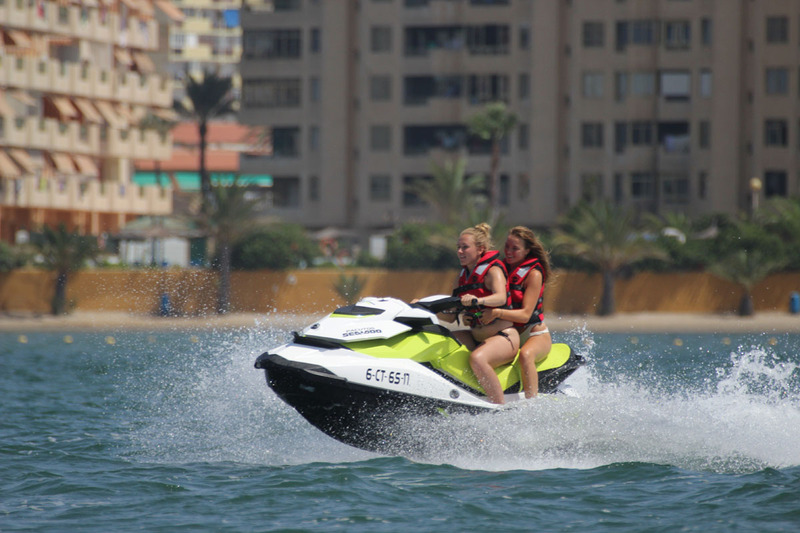 Dedicated completely to jet skis we offer different activities, from closed circuits to various excursions. 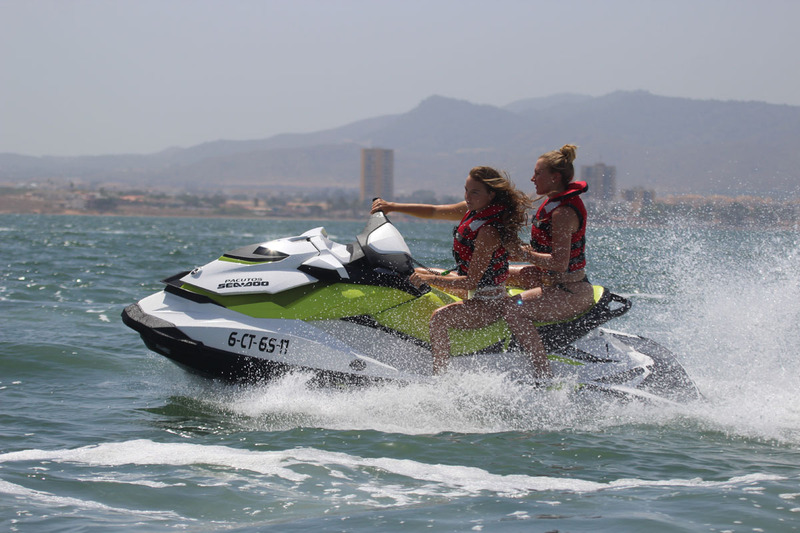 We can offer you a unique experience and activities like you’ve never tried before. 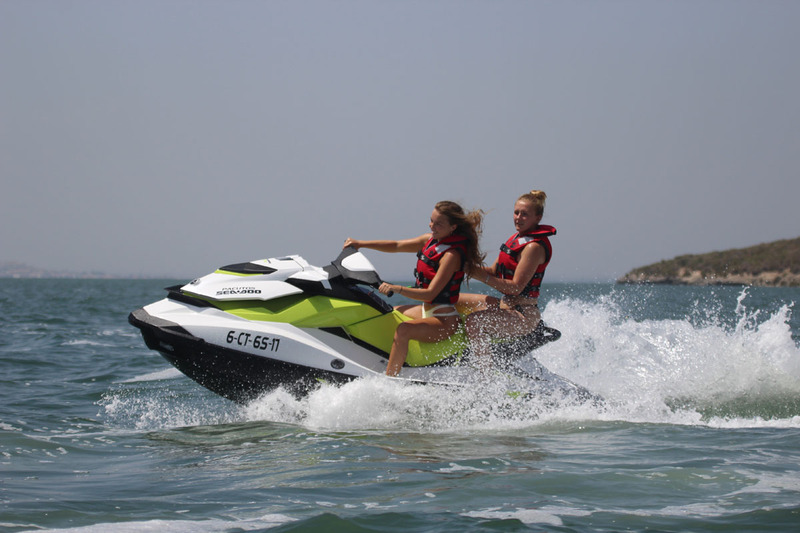 Latest models in Jetskis and equipment. 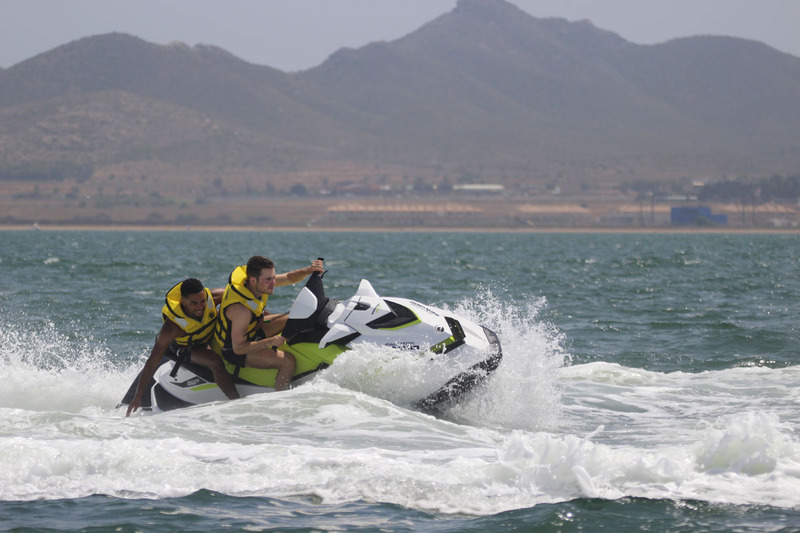 We are a highly qualified team to ensure your safety and address any emergency that may occur. 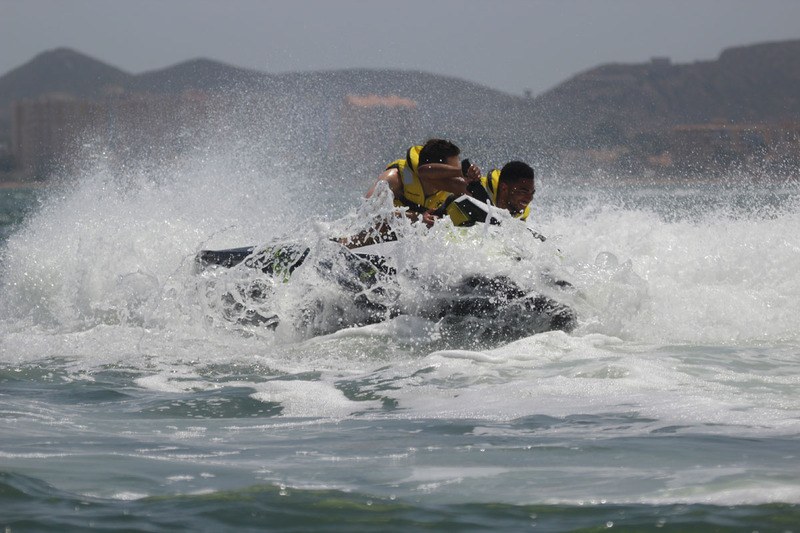 We adapt to you, offering you an adventure pack totally adapted to your needs, for a complete experience. 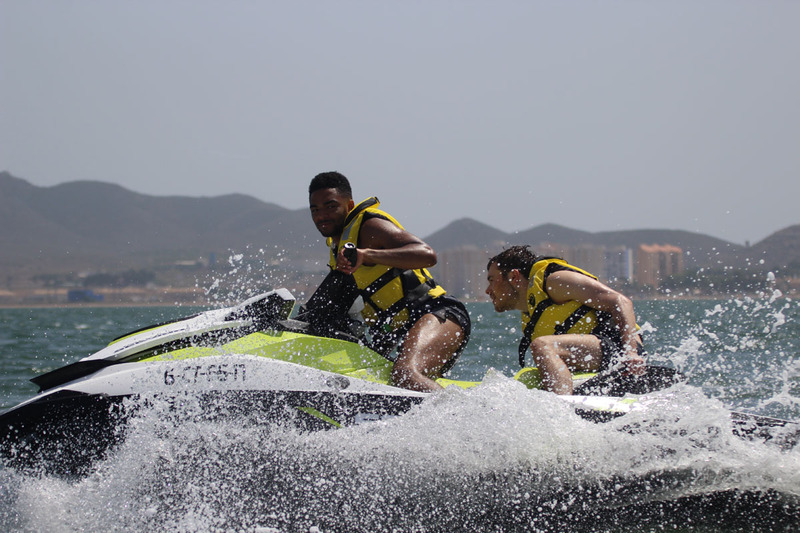 You can meet new friends with whom you will share an adventure fill of inforgetable memories. 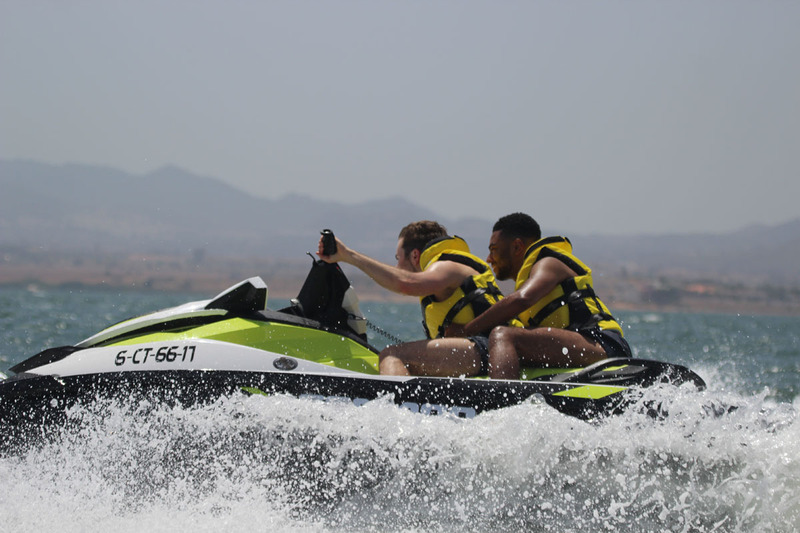 Take a look at the photos and videos of past activities. If you need more information or help, do not hesitate to call or to write us, we will help you as much as possible. Write us a message and we will respond as soon as possible to solve your doubts.